Some people tour Europe’s finest vineyards others tour Australia’s sweetest surf spots—I tour South Africa’s pioneer makerspaces; part of the growing global maker movement. The movement is a culmination of people becoming “makers” (someone who uses their personal abilities to create anything from mechanical or electrical to visual or musical) and spaces becoming makerspaces (an interdisciplinary area stimulating people to create by providing resources and idea sharing). Hani Morsi, an Open AIR Post-Doctoral fellow at the Access to Knowledge for Development Center (A2K4D) in Cairo, gave a seminar last week entitled “Beyond openness: Investigating the success factors of open approaches to collaboration and innovation”. This was part of the Brown Bag seminar series of AUC’s School of Business. 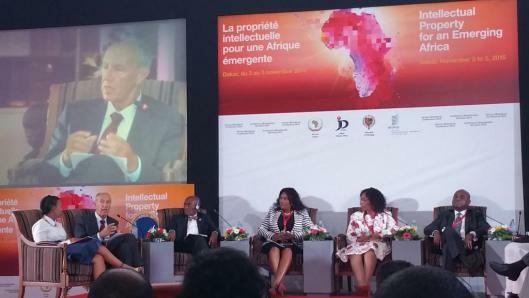 In the recently concluded ‘African Ministerial Conference: Intellectual Property for an Emerging Africa’ organized in part by WIPO (here), one cannot help but think that all roads leading to creativity and innovation are paved with intellectual property (IP) laws and institutions. Put differently, the level of creativity and innovation in a society is dependent solely on how we tinker with and enforce IP laws. This ‘IP parochialism’, as I call it, is manifest in the conference program. Of course, the response would be that the conference was solely about IP and as such there was no need to look beyond IP. This is an erroneous view. Our Open AIR researcher Dr. Erika Kraemer-Mbula is continuing her exciting research in South Africa about informal sector entrepreneurs. Informal entrepreneurship is receiving increasing scholarly and political attention in Africa. The continent’s booming youth population calls for an unprecedented need to create income and livelihood opportunities. Besides the traditional focus on formalisation, there is a growing interest in understanding the creative processes and innovations occurring in informal enterprises. However, evidence remains scarce, and research on informal enterprises still represents a relatively new and unexplored frontier. Open AIR’s Canada hub has been awarded a prestigious multimillion dollar Partnership Grant from the Social Sciences and Humanities Research Council (SSHRC) of Canada. Professors Jeremy de Beer and Chidi Oguamanam, both from the Common Law Section at the University of Ottawa, have been awarded a grant to expand the Open AIR network and to conduct further research.